Update of articles (code reviewed and layout checked) about the preceptories of the Orders (Temple, Hospital,Teutonic) : Campagne-sur Aude, Camps sur l'Agly, Castelo Branco, Catillon, Celles, Chalou-Moulineux, Châteaubernard, Chazot, Chierzac. Beginning of revision of the code of all the website. "Dead" or "incorrect" links may still exist. Update of articles (code reviewed and layout checked) about the preceptories of the Orders (Temple, Hospital,Teutonic) : Acoyeu, Acquebouille, Alden-Biesen, Almourol, Alphen, Amboise, Angles, Angoulème, Antvorskov, Arveyres, Arville, Aslackby, Assier, Athlit, Auvignac, Baghras, Balsall, Le Bastit du Causse, Baugy, Beaugency, Beauvais sur Matha, Belleville-sur-Saône, Beloire, Bernay et Bertaignemont. Update of articles (code reviewed and layout checked) about the masters of the Orders (Temple, Hospital, Teutonic) : Alphonse de Portugal, André de Montbard, Anno von Sangerhausen, Armand de Périgord, Arnaud de Toroge, Arnould de Comps, Bernard de Tremelay. Update of articles (code reviewed and layout checked) about the kings of England : Edgard Aetheling, Edward le Confesseur, William 1st "the Conqueror", Harold Godwinsson. Update & corrections of several texts : Armand de Périgord, Arnaud de Toroge, Arnould de Comps, Arveyres, Ascalon, Aslackby, Assier, Athlit , Auvignac, Benedict X, Baghras, Balsall, Le Bastit, Baugy, Beaugency. 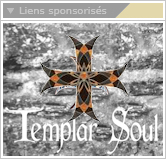 Translation of article about Templar location : Alphen. Update & corrections of several texts : Acoyeu, Acquebouille, Alden Biesen, Almourol, Alphonse de Portugal, André de Montbard, Angles, Edward "the Confessor", William Ist "the Conqueror", Angoulème, Anno von Sangerhausen, Antvorskov. Modification of the graphic chart. Translation of articles about Templar preceptories in France : Acoyeu, Acquebouille, Assier, Bastit du Causse, Beaugency, Belleville-sur-Saône, Beloire, Bernay, Cras, Boixe, Arveyres. Translation of articles about Templar preceptories in England : Aslackby, Balsall. Translation of an article about a preceptory of the Order of St-John in Denmark : Antvorskov. Translation of articles about the Masters of the Order of St-John : Arnould de Comps, Bertrand de Comps, Bertrand de Thessy. Translation of article about Edward the Confessor, King of England, and Anti-pope Benedict X. Translation of article about Alphonse of Portugal, Master of Knights of St-John ; and William the Conqueror, King of England. Publication of an article published in the newspaper "The Mail on Sunday" on April 9, 2006 about archaeological researches in Israel, at the Jacob's Ford, on the River Jordan. Lauching of the english version of Project Beauceant.